I have been at a CCS training the past two days and my favorite part was talking to the other Kindergarten teachers about how we teach sight words. (completely off topic of what the speaker assigned us to talk about..) I originally made a Sight Word Pack, that I love and my students love even more. I wanted to make another set that can be used specifically for the Dolch words. This first set is for the Dolch Pre-Primer word list. My students loved using these for seat work, center work, and homework. 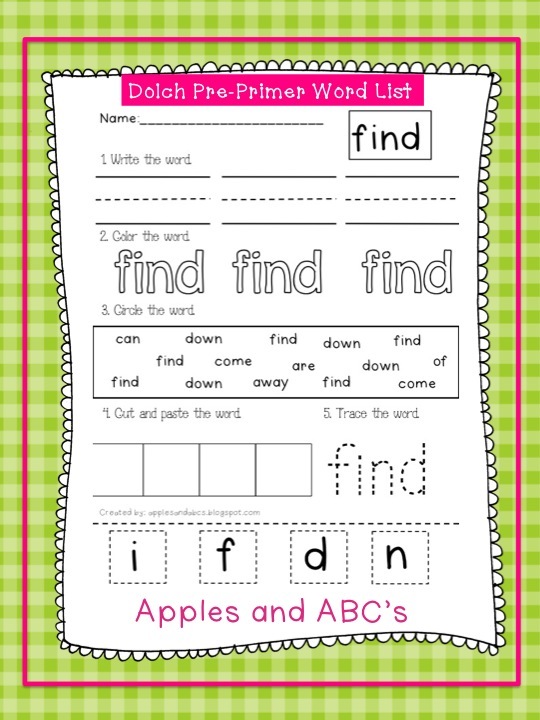 They are great because once you teach them how to do the first worksheet, they can finish the rest of them independently! Pick one up at my TpT Store! 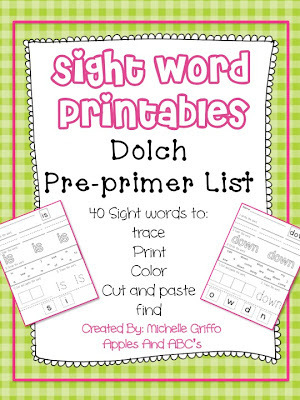 Check out the Primer Dolch Sight Word Pack, too! I love your approach to sight words. We do it slightly differently in Australia but I can really see the benefits of the way you present it in your pack. I want to try this with my Kinders. Do you start this from the beginning of Kindergarten? Whenever the speaker/trainer says break into groups and discuss we always go off on our own topic, lol. Such a cute packet!! 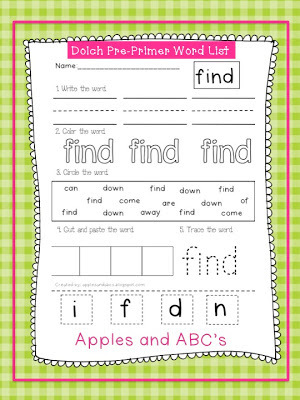 I'm always looking for different activities for sight words. I'm your newest follower and on instagram! I love your Dolch pre-primer pack! Are you going to make a set for the other Dolch words such as the Primer set? I would love to purchase the Primer and the first grade as well!